Hey, Labrinth - bring the snow back with you! We want some! 6. Hey, Labrinth - bring the snow back with you! We want some! 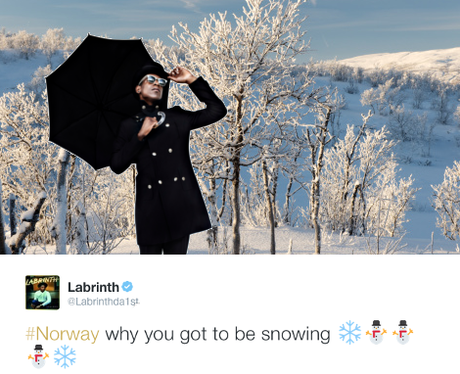 Struggling to embrace Norway and its weather, Labrinth was NOT impressed with all the snow. But we'd quite like some. It looks so pretty!